Tekin's Element Proof ROC412EP HD motors offer protection from the elements and the power to take on the trails or track without fear of water, mud or snow! Designed for heavier trail or rock racing rigs, the ROC412EP HD delivers more torque and more power on demand. The HD lineup offers the same trusted kv ratings for 2S to 6S setups as the ROC412 so you can maintain desired speed and input voltage with the longer design to offer more grunt when you need it. Using Tekin’s trail proven 4 pole 12 slot motor design, the ROC412EP HD harnesses the benefits of brushless efficiency and extreme amounts of torque to stay on the trail longer with more power. 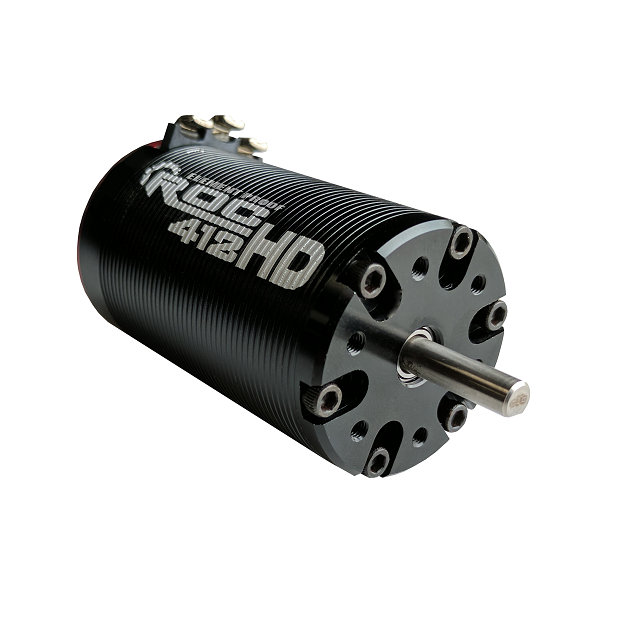 Couple the ROC412 Motor with a Tekin RX4 Speed Control for the smoothest crawling system available! Crawling, Rock Racing precision and power are at your disposal.